Posted on January 14, 2009 by Candy McSween Posted in This is Life	. If you’re wondering where I’ve been, wonder no longer. 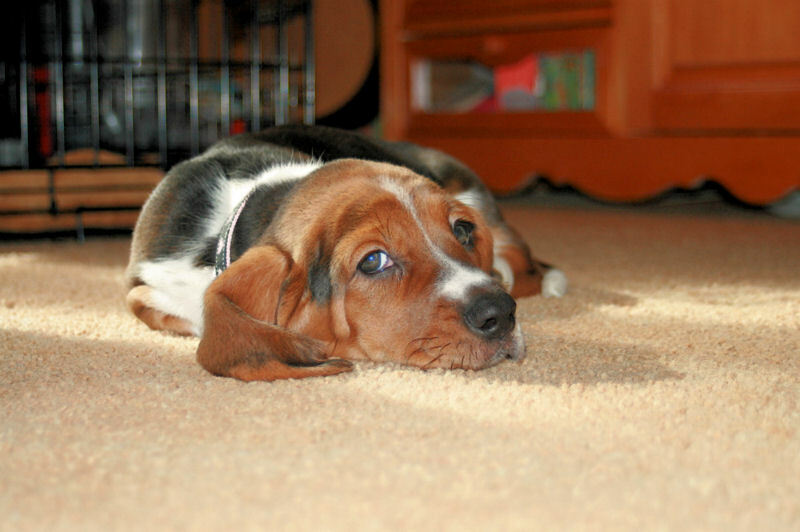 We’ve added a little four legged cutie to our midst and my days (and nights) have been spent puppy training. 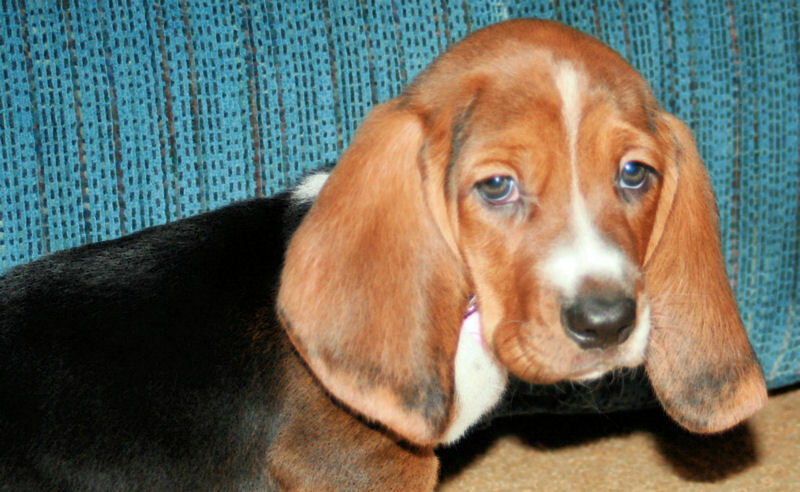 She is an adorable 7 week old Basset Hound and we’re all head over heels in love with her. I have finished my 2009 planner and will get those pictures up soon. « Looking for some blog candy? What a precious pup!! Lots of work but so much fun!! I love your 2009 Planner. You know it makes me want to make one for myself!! 😉 LOL!!! Hope you guys are getting enough rest!! Have fun with your new girl. She’s adorable! In the 2nd pic it almost looks like she’s going to step on her ear. 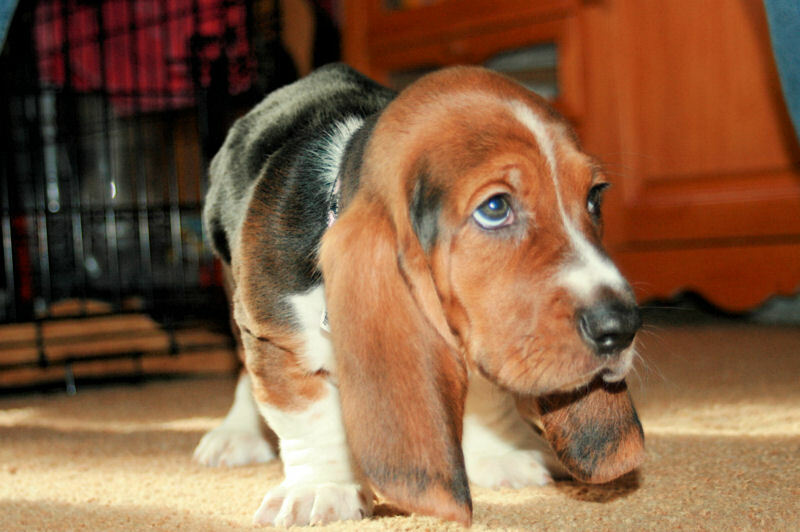 Reminds me of one of my dad’s friends that had Bassetts. They were trained to come to him before they ate. He would clothes pin their ears up, so their ears wouldn’t get into their food.